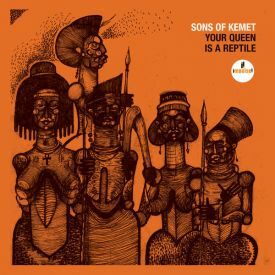 Sons of Kemet's new album, 'Your Queen is a Reptile' takes aim at the British Monarchy, providing an excellent commentary through its rhythms and vocals. Si tuviera que elegir un par de palabra para explicar este LP, serían riqueza y evolución; la tercera entrega de Sons of Kemet me parece una salvajada en cuanto a llevar el Afro-jazz y el Avant-garde Jazz a otros niveles, sumándole el enorme concepto que encuentras tan solo en los nombres de las canciones, utilizando el nombre de mujeres importantes en la historia siempre orgullosa de la raza negra, uno de los lanzamientos más interesantes de este año. Your Queen is a Reptile is not only invigorating jazz, it's a fantastic collaboration of Caribbean, Afro-beat, funk, and dub music to the core. This should be seen as a landmark record for modern jazz. A great jazz record with vibrance and energy. Sons of Kemet orchestrate an extremely groovy and rhythmic jazz experience that will have anyone dancing. 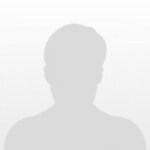 There are some really great ideas here. Experimental African jazz is never something I thought I would like, but some of it's really fire. However, I think the albums construction leaves a lot to be desired. Been coming back to this a lot recently and don't know why but damn is this such a fun listen. As someone who is studying jazz in school, it’s nice to listen to an energetic and creative jazz album that has its own style and appeal. Don't go into this album thinking it is like most jazz and you'll have a blast. Striking. Powerful. A great redux of the early sounds of jazz. This album pushes jazz forward by looking back to its stripped back, rhythmically intricate, and politically motivated origins. The fusion of jazz with African culture has never been so well explored. Vibrant colorful jazz instrumentation=good album? The fusion of afro-jazz with acid jazz, funk and rap in "Your Queen is a Reptile" end up being one of the best albums I've listened in 2018. An electrifying and tribal take on African jazz music with an undeniable political spark to it, that makes for one of the most enthralling projects of 2018, and certainly the best of its year from the jazz department. vibrant jazz project and a brilliant concept. 55 minutes of joy and vitality that seem like 30, if you just let yourself get lost in this solid groove. Sons of Kemet returns with one of the most fun and eclectic Jazz records of the decade. Your Queen Is A Reptile lands as one of the most electric and revitalizing jazz albums of the decade. Sons of Kemet use scattered spoken word throughout the album, conveying heavy political messages. These segments really give a breath of fresh air to the over-repetitive (yet admittedly infectious) saxophone riffs. An amazing album for any offbeat jazz fans. "My Queen Is Ada Eastman"
"My Queen Is Mamie Phipps Clark"
"My Queen Is Harriet Tubman"
Incredible music on this album. The tracks are a bit long but they are so intricately crafted that every second on every track matters. Good production and very creative in its execution, this album takes jazz to a whole new level. Probably the best jazz album of the year. Sonically bounding forward and rolling onward, and lit up with political themes and attitude, this is a punk rock album hidden in jazz's clothes. Great album and beautiful concept but I liked their previous one better, not to mention the wonderful "Wisdom of Elders". You can´t go wrong with Shabaka!